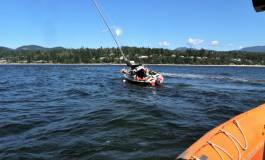 Is RCM-SAR part of the Canadian Coast Guard? 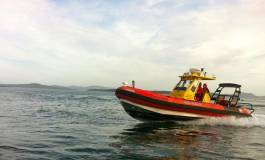 Is Royal Canadian Marine Search and Rescue part of a national organization? Can I contribute to the Royal Canadian Marine Search and Rescue? The Royal Canadian Marine Search and Rescue (RCM-SAR) was formed in 1978 to provide volunteer marine Search and Rescue support to the regular Canadian Coast Guard. 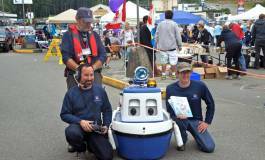 RCM-SAR is a totally separate, independently incorporated volunteer organization. We do receive some funding assistance from the federal government in order cover insurance and fuel used during SAR duties, but it is a severely limited budget and does not cover the greater need for training and equipment. 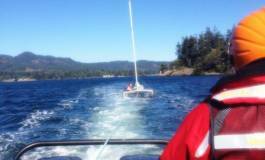 Royal Canadian Marine Search and Rescue is part of the national organization called the Canadian Coast Guard Auxiliary (National). However, each region in the national organization functions in an autonomous manner within general guidelines set out by National. 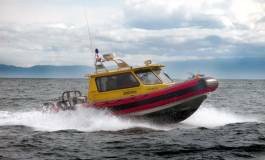 There are five Canadian Coast Guard Auxiliary regions, as follows: Pacific(RCM-SAR); Central and Arctic (Great Lakes and northern coastlines); Quebec (St. Laurence seaway); Maritimes (East Coast - except Newfoundland); and Newfoundland. Most definitely. Please see the "donate now" tab on this website. Financial and in-kind donations are both useful to our volunteer work. Please note: all contributions to RCM-SAR over $20 receive a tax deductible receipt.